We evaluated 10 well-known Medicare supplement insurance plans and picked the 8 best options in 2019. United Medicare Advisors works to simplify the process for consumers by providing comparison tools to compare offerings and costs of each plan. United Medicare Advisors provides options from more than 27 providers to customers across 45 states. Cigna Medicare Supplement Insurance is the industry-leading medicare supplement insurance company serving 95 million customers and working with any Medicare provider. Cigna offers plans for part A, B, C, D, F, HD-F, G, and part N.
Mutual of Omaha offers lots of informational guides to learn more about Medigap policies. Medicare.net is a one-stop website created by the Health Network Group for any information related to Medicare supplement and Medicare Advantage insurance. Medicare.net is a free service and all of the plans offered are strictly based on your budget and priorities. Humana Medicare supplement insurance policies cover Medicare Part A-N. Each Humana policy comes with perks not found with other Medicare supplement insurance companies. Perks include discounts for using electronic payments, fitness programs and more. Aetna offers five Medicare supplement insurance plans offering coverage that works with Original Medicare (Parts A and B). Aetna’s website provides helpful information on each plan in your state and lets you conveniently manage your policy online. AARP by UHC is a large provider with price quotes accessible online. We evaluated 10 well-known Medicare supplement insurance plans, and after careful review identified the eight best options for 2019. To draw our conclusions, we checked with customers in the market, reviewed data and consulted insurance experts. In summary, no one plan is best for all situations, so we recommend shopping around using a Medicare expert like United Medicare Advisors to compare plans. The eight Medicare supplement insurance companies we think are worth your consideration include: United Medicare Advisors, Cigna, Mutual of Omaha, Medicare.net, Humana, Blue Cross Blue Shield, Aetna and AARP by United Healthcare. How much do you know about Medicare supplement insurance? Contrary to common belief, Medicare, the government-funded healthcare insurance for American citizens age 65 and up, doesn’t cover 100% of your medical costs. Medicare supplement insurance plans add additional coverage to fill the gap in coverage between Medicare and your actual medical expenses. Private companies sell these so-called “Medigap” policies, which are typically used to cover expenses like deductibles and co-pays. Coverage can be difficult to understand, and varies by market. Massachusetts, Minnesota, and Wisconsin provide their own policies for residents. The remaining 47 states in the U.S. rely on 11 standard plans that accommodate all types of health, lifestyle, and budget demands. These plans vary based coinsurance needs such as hospital stay, hospice care, travel expectations and more. In this guide, we’ll provide tips for making a well-informed Medigap insurance purchase, investigate the best companies in the industry, and address some frequently asked questions. During the open enrollment timeframe, federal law bans insurers from denying you coverage or charging higher premiums if you have a pre-existing health condition or disability. If you try to sign up after that window, you will likely pay more for premiums and may even be denied. Understanding the fine print in a supplemental policy makes a big difference. Research will help you avoid situations like being charged extra out-of-pocket or out-of-network fees. Ultimately, coverage options for supplement insurance varies by plan type and provider, so it’s difficult to know what factors are most important. Consider these three major factors to find the best supplemental insurance policy: price transparency, helpfulness, and coverage. Sometimes the government changes things like open enrollment periods and what Medicare supplement plans are offered. Here is what’s changed for 2019 according to Medicare.gov. 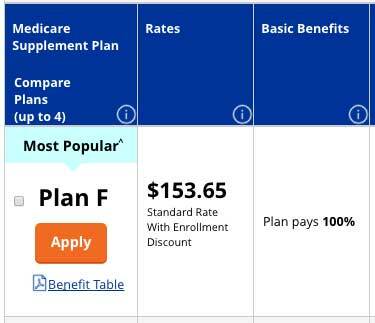 Plan G is believed to be the new go-to plan if you once had Plan F as it is basically the same except for the deductible. There are going to be a number of expenses, charges, and premiums to decode. Set your budget first, then look for a company that is upfront about premiums before you sign on the line. You should be informed before buying. If you’re reading this guide, that’s a good start. And in general you should be a skeptical buyer, although Medigap insurance is heavily regulated. Still, shopping for insurance can be exhausting, but the best companies make the process as streamlined as possible. Look for a company that caters to your needs, such as a physical office for a face-to-face meeting, a helpful customer service representative on the phone, or online chat. 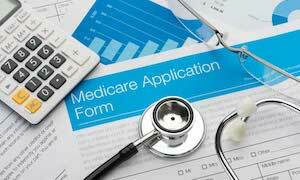 We kicked off our search with 10 Medicare supplement insurance companies that offer a multitude of plans. We included companies that appeared in popular website queries, and those that spent a large amount of money advertising on TV or the radio. These are the companies most likely to be shopped by consumers. Next, we analyzed these companies based on our expert-guided buyer criteria in three categories: price transparency, helpfulness, and coverage. Companies that obscured their prices, made the process very difficult, or had limited coverage options were cut from the search. We contacted companies and asked for more information. We found out that policies ranged in price from less than $100/month for basic coverage to thousands for maximum protection. Then, we shared these best companies for you, a friend or family member to consider. After our evaluation, we selected three best Medicare supplemental insurance providers: AARP by UnitedHealthcare, Mutual of Omaha, and United Medicare Advisors. Each of these companies were good picks, and also stood out in a unique way. United Medicare Advisors will help guide you through the confusing aspects of Medicare plans to find the best insurance strategy for your personal needs. The company works with more than 27 plan providers in 45 states and has produced more than 100,000 policies. Medical Advisors represent companies like Gerber, Sterling and Humana. Price transparency: To get a quote you can either call a United Medicare Advisors representative or complete an online form with your contact and health details. Upon sending it off, an agent will contact you with suggested plans. United Medicare Advisors need personal information to form a tailored quote for each individual. Their website says they save consumers an average of around $634 per year by switching to a new Medigap plan. To find out more, visit their website to get a quote, or call 877-850-6440. Read our comprehensive United Medicare Advisors review. Carrier Medicare information – details on carries such as BCBS, Humana, Aetna and more. Important Medicare information – find information on current and future Medicare, Medigap and Medicare Advantage prices, as well as details on prescription drug cards and when to apply for Medicare. 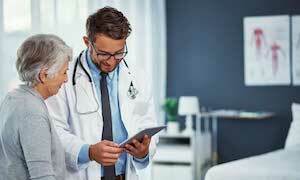 New Medicare customer information – if you’re new to Medicare, Medicare.net explains what Medicare is and how to apply for it. Medicare.net wants to help you find the best plan for your situation. Its “Help me find the best plan” button gives your four choices: needs assesment, build your plan, current plan comparion and are my drugs covered?. Depending on your current situation, choose one of the four plans to filter Medicare, Medigap and Medicare Advantage plans. The American Association of Retired Persons (AARP) offers AARP Medicare Supplemental Insurance plans via UnitedHealthcare. UnitedHealthcare is a subsidiary of UnitedHealth Group and is America’s biggest health insurer, boasting over 130 million members. 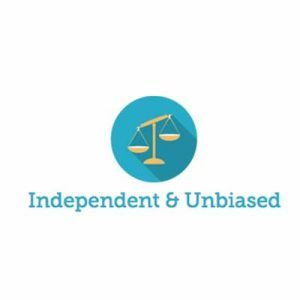 Price transparency: AARP earned the top spot as the number one most transparent company since the site generates actual sample rates – without requiring you to fill out personal details in an online form or call a representative. To view rates, type in your ZIP code in the “Find Plans In Your Area” toolbar, then a list generates of all of the available plans and prices based on your age and the plan you want to select. If you decide you want a more detailed quote, then you can call a customer service representative or fill out an online information form requesting to be contacted. Helpfulness: The company takes as much guesswork as possible out of your quest for supplemental insurance. For example, you can answer a couple health questions in an online quiz that’ll match you with potential plans that may work for you. Company representatives are also available by phone seven days a week. The AARP website has a search tool to find plans in your ZIP code and a link to schedule in-person info meetings in your area if you’d rather have a face-to-face meeting. Coverage: Now depending on your state, the site offers at least 10 different plans for you to pick. And as we mentioned, the greater the number of plans the greater options you have to get the healthcare you want at a price you can manage. Price transparency: You won’t find any quotes online. You can, however, start the price conversation by completing a quick online form on the site and a representative will contact you to go over possible plans. Helpfulness: You can search the site for the closest available agent for a face-to-face talk, or fill out a quick online form stating specific times you’re available for a customer service representative to call you – as well as include any notes to explain your needs. The site also features an education section titled “Planning and Advice” which is essentially a Medicare 101 info center to turn you into a Medicare pro. The section includes helpful articles touching on topics including your enrollment period and eligibility rules. That way you can read up on an arsenal of info before you reach out to a representative so you have a better handle on what to ask and what you’re looking for. Coverage: A search of coverage options by state shows lots of options for consumers to look into, along with links to nearby agents’ offices for you to visit in-person or call with questions for local support. Check out our comprehensive Mutual of Omaha Medicare Supplement review. Humana is a Fortune 500 company offering several health insurance plans, including Medicare supplement plans. It services over 13 million customers and has won numerous awards from the National Business Group on Health, American Heart Association, Military Times and other organizations for the company’s insurance products and responsible business practices. Price transparency: Humana offers quotes on their website with a simple zip code search. Enter your zip code and you’ll see a list of Medicare supplement insurance policies available in your area. Prices are easily comparable thanks to Human’s user-friendly site. Perks: Humana’s Medicare supplement policies come with perks not found with other companies. Perks include discounts for using electronic payments, Silver Sneakers fitness program, 24-hour nurse access via telephone, discounts on eye exams, contact lenses and glasses, over-the-counter medication, massage therapy and more. For more about Human’s perks, policy details, pricing and more, read our comprehensive Humana Medicare supplement insurance review or get a quote online. Established in 1929, BCBS provides Medicare Supplement insurance and personalized, affordable health plans to more than 106 million Americans, equal to nearly one out of every three health insurance consumers across the country. Blue Cross Blue Shield is the umbrella company for 36 different U.S.-based independent health insurance companies like Anthem, CareFirst and Regence, among others. Helpfullness: Blue Cross Blue Shield’s website is very informative on not only Medicare Supplement Insurance, but any type of insurance they offer. If you’re new to Medicare supplement insurance, you’ll find a breakdown of costs, limits and things to consider before purchasing a policy. For more information on their Medicare supplement policies, read our comprehensive Blue Cross Blue Shield Medicare Supplement Insurance review. Aetna Insurance Company opened for business in 1853 selling annuities and soon after, life insurance. Today, they offer five Medicare supplement plans – Plans A, B, F, G and N – in addition to their long list of other insurance types. Price Transparency: Aetna provides policy pricing on their website although it is a little tricky to find. Once you select your state, policy prices are listed in a PDF document. For an actual quote you will need to call Aetna directly as they do not offer online quotes. 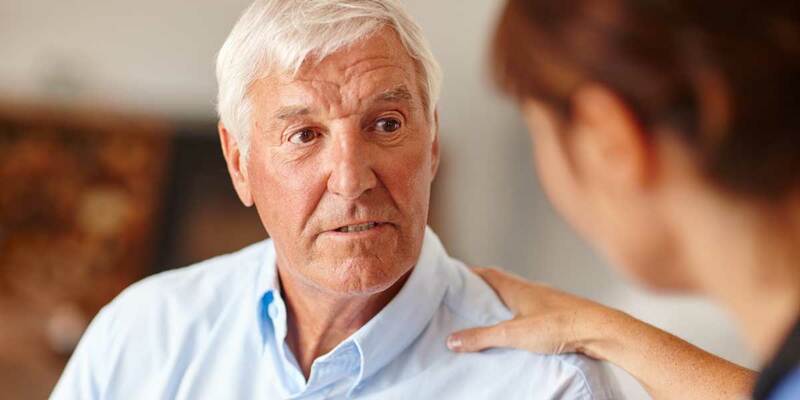 Helpfulness: Aetna’s website doesn’t provide a lot of information on what a Medicare supplement plan is in general but does a good job of explaining what thier Medicare supplement plans cover and how much they cover. Read our in-depth review of Aetna Medicare supplement plans for more details. Readers of this Medicare Supplement guide content also read these related articles. Check out this article to see if you meet the qualifications for medicare. How are Medicare Supplement Plan Premiums Calculated? Medicare supplement plans have separate premiums from Medicare. Read about how Medicare supplement plan premiums are calculated. Do All Doctors Accept Medicare Supplement (Medigap) Plans? One concern that comes up when thinking about Medicare supplement plans is whether you’ll be able to use your current doctor with your plan. Read about whether all doctors accept Medicare supplement plans. How do Medicare Supplement Plans Work with Medicare? Do Medicare Supplement Plans Cover Foreign Travel? Do I have to purchase Medicare supplement insurance? No. but can you afford not to? 9 out of 10 people have a type of supplemental coverage, according to the AARP. If you forgo supplemental insurance, then you’re responsible for out-of-pocket health insurance costs – that can quickly cost thousands of dollars. 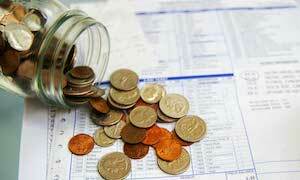 If you’re on a fixed income, this may quickly eat into your retirement savings. Unless you can guarantee that you won’t have more than a sniffle for the rest of your life, coverage is probably a good financial move. Put this on your calendar – the Medigap open enrollment period. That’s a six-month window which kicks off the first month you’re 65 and enrolled in Medicare Part B. If you sign up for Medicare supplemental insurance during this period, you can join any plan (even if you have a pre-existing condition). You can still buy Medicare supplemental insurance after this window but you will pay a price – literally. After this enrollment period, insurers may increase premiums or deny coverage. What if I’m 65 or older and still using my employer coverage? If you are one of millions of Americans working after 65, your employer health insurance coverage may be all you need for now. Medicare supplement open enrollment generally won’t begin for you until you enroll in Medicare Part B. If you haven’t enrolled in Part B yet, you should consider waiting to enroll until you are ready for your Medicare supplement open enrollment to begin. There are some notable exceptions for Part B and employer coverage. We found policies that ranged in price from less than $100/month for basic coverage to thousands for maximum protection. There’s no “normal” number, as there are so many factors in play like where you live, your age and needs. A ballpark figure is a couple hundred dollars a month for standard coverage. However, it’s basic economics – the more supplemental insurance you want, the greater the cost. Yes. Some plans offer discounts if you’re married (studies show that married couples tend to be healthier – as they encourage each other to eat nutritious meals, exercise, and see a doctor). You can also possibly cut your rate if you’re a non-smoker, as you’ll likely have fewer health risks. Or you may be able to save by paying annually or via electronic funds transfer. Even if the website or brochure you’re studying doesn’t mention anything about discounts – ask. Are all 11 Medicare supplemental insurance plans the same in every state? While there are 11 different plans in most of the U.S., federal law mandates that each plan carry the same coverage. For example, Plan K in New York offers identical benefits to Plan K in New Mexico. Where else can I turn for more information? Call your State Health Insurance Assistance Program. Enter your state, and the contact phone number and website of the local office will appear. Another website site to check out: The U.S. government-run Medicare site. In addition to being the final resource on Medicare and Medigap insurance, the site has a ZIP-based search to find a Medigap policy in your area. Bottom line: Medicare supplement insurance coverage is one of the most important health and financial decisions you make for retirement. If you decide to buy Medicare supplemental insurance, talk with a representative and walk through every cost – and get a list of the cost and benefits in writing. Good companies will offer you this price transparency, and this way you’re not surprised by a large bill or with coverage you don’t need. Buying a policy can be complicated, so get help and find a helpful policy provider. There are many coverage choices available, and the right plan may help you significantly reduce unwanted medical costs. Before you sign up, it’s a good idea to have a friend or family member review your policy. If that’s not an option, we found the following companies were the best and therefore should be a good choice.